Below are some of the examples of jewelry that I have been commissioned to make with trinkets and family heirlooms. 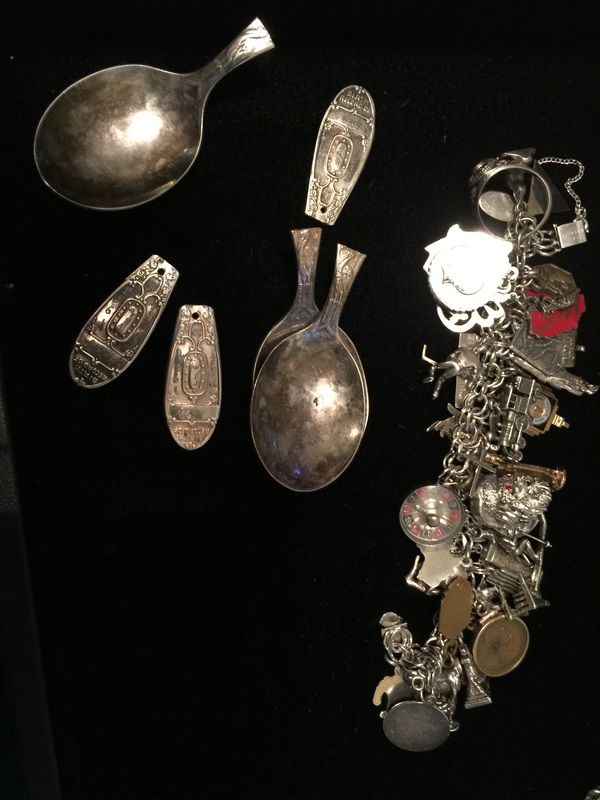 The first photo is the client's charm bracelet and baby spoons from her children. I cut off the bottom part of the spoons and drilled holes to hang them on the necklace that I incorporated the charm bracelet into. 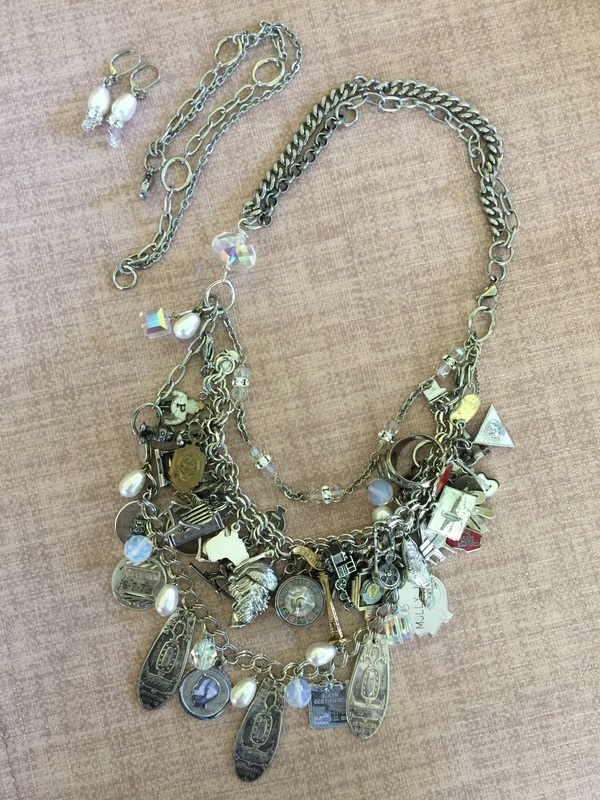 The finished necklace, in the 2nd photo, includes a long extender and matching. 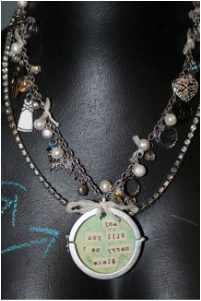 The 3rd picture is of the necklace that was made for a gentleman that asked his girlfriend to marry him in my booth at an art show. 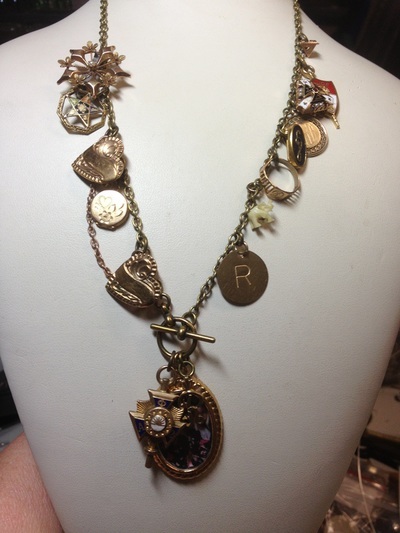 The last necklace is trinkets, rings and heirlooms from this client that was incorporated into a necklace to wear. If you have any questions about this process and would like to have a piece of jewelry made from your heirlooms, please contact me below.